There’s more than meets the eye in the ongoing dustup over whether Ted Cruz is eligible to serve as president, which under the Constitution comes down to whether he’s a “natural born citizen” despite his 1970 Canadian birth. 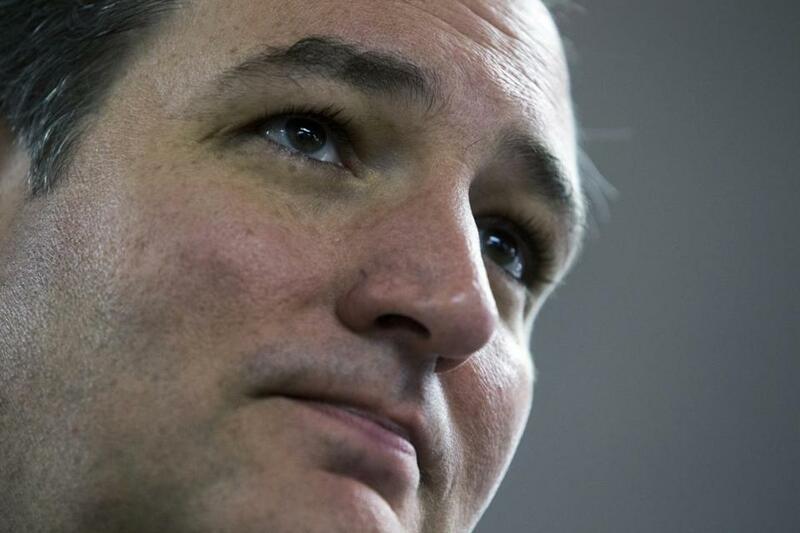 Senator Cruz contends his eligibility is “settled” by naturalization laws Congress enacted long ago. But those laws didn’t address, much less resolve, the matter of presidential eligibility, and no Supreme Court decision in the past two centuries has ever done so. In truth, the constitutional definition of a “natural born citizen” is completely unsettled, as the most careful scholarship on the question has concluded. Needless to say, Cruz would never take Donald Trump’s advice to ask a court whether the Cruz definition is correct, because that would in effect confess doubt where Cruz claims there is certainty. People are entitled to their own opinions about what the definition ought to be. But the kind of judge Cruz says he admires and would appoint to the Supreme Court is an “originalist,” one who claims to be bound by the narrowly historical meaning of the Constitution’s terms at the time of their adoption. To his kind of judge, Cruz ironically wouldn’t be eligible, because the legal principles that prevailed in the 1780s and ’90s required that someone actually be born on US soil to be a “natural born” citizen. Even having two US parents wouldn’t suffice. And having just an American mother, as Cruz did, would have been insufficient at a time that made patrilineal descent decisive. This narrow definition reflected 18th-century fears of a tyrannical takeover of our nation by someone loyal to a foreign power — fears that no longer make sense. But the same could be said of fears that a tyrannical federal army might overrun our state militias. Yet that doesn’t lead Cruz — or, more importantly, the conservative jurists he admires — to discard the Second Amendment’s “right to bear arms” as a historical relic, or to limit that right to arms-bearing by members of today’s “state militias,” the national guard. On the other hand, the kind of judge I admire and Cruz abhors is a “living constitutionalist,” one who believes that the Constitution’s meaning evolves with the perceived needs of the time and longstanding practice. To that kind of judge, Cruz would be eligible to serve because it no longer makes sense to be bound by the narrow historical definition that would disqualify him. When Cruz was my constitutional law student at Harvard, he aced the course after making a big point of opposing my views in class — arguing stridently for sticking with the “original meaning” against the idea of a more elastic “living Constitution” whenever such ideas came up. I enjoyed jousting with him, but Ted never convinced me — nor did I convince him. At least he was consistent in those days. Now, he seems to be a fair weather originalist, abandoning that method’s narrow constraints when it suits his ambition. By the time another president takes office, three of the Supreme Court’s sitting members will have passed the age of 80 and one will be nearly 84. Cruz’s public pronouncements about the kinds of justices he would appoint suggest that his litmus test would filter out any jurist who views the Constitution as flexible enough to reflect accumulated experience and changed perspectives. Unless, it seems, that kind of jurist would rule in a way Cruz favors on one or another issue crucial to him — like his eligibility to serve as president. Because a rigid “originalism” tends not to favor women’s rights or gay rights, I wouldn’t count on a Cruz appointee to be open-minded on such matters. To be sure, no real court is likely to keep Cruz off the ballot, much less remove him from the White House if he were to win — Bush v. Gore isn’t likely to get a return engagement over this issue. Still, it’s worth thinking about the legal cloud that could influence some voters and would follow a victorious Cruz into the Oval Office, especially when combined with the fair weather originalist justices he’d bring to the court. Consider immigration. The first order Cruz says he’d issue as president would be one undoing President Obama’s temporary deportation reprieve for the parents of American children. But parents facing imminent deportation would likely invoke the Supreme Court’s 2014 decision in National Labor Relations Board v. Noel Canning, which set aside an NLRB order directing a Pepsi distributor to take costly steps favoring its employees. The basis for the Court’s unanimous ruling? Three of the board’s five members had been “recess appointed” while the Senate wasn’t in recess, so they weren’t eligible to exercise executive power. The four most conservative justices, including those Cruz wants to replicate as vacancies arise, went further, insisting that no president can invoke the Constitution’s recess appointments clause even during a real Senate recess to fill a vacancy that arose before the recess began. Their philosophy left no room to consider how radically things had changed between 1789, when that definition made sense, and 2014, when it didn’t. Faithfully applied, the antiquarian approach to judging championed by Cruz would not only aggravate today’s political gridlock over appointments. It would also imply that the deportations Cruz promises to carry out could be halted by the very justices he named to the court, who would most likely say — if they were true to their originalist principles — that he wasn’t a “natural born citizen” and thus couldn’t exercise executive power against anybody. Great news for the families of American kids to whom Obama had granted a temporary deportation reprieve; not such great news for Cruz. Yet another irony. Not that this almost farcical scenario would be likely to unfold in reality. Any court would look for some way to let whoever is elected to the presidency, eligible or not, exercise the powers of that office. But examining the legal issues around Cruz’s birth sheds valuable light on the perverse implications of his self-serving ideas about how the Constitution works. There are lots of reasons to be skeptical about the rigid approach to the Constitution espoused by Cruz and many of his fellow Republican candidates. The rich irony — that it could hypothetically render him powerless to keep one of his most inhumane promises if applied consistently — is just the latest example of why constitutional interpretation matters. And why candidates should be careful what they wish for. Laurence H. Tribe is a university professor and a professor of constitutional law at Harvard. Follow him on Twitter @tribelaw.